The usage-based model or business continuity solution of cloud computing is well suited for Disaster Recovery and it offers a viable alternative to on-premise solutions. Moving Disaster Recovery operations to the cloud reduces the required data center space and storage infrastructure, resulting in increased cost savings and flexibility. 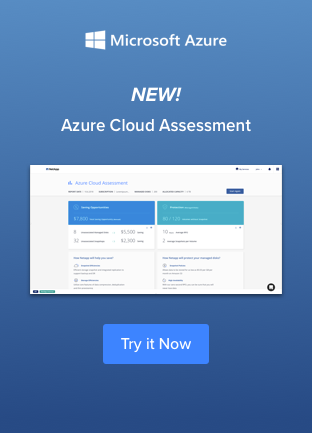 Public cloud providers such as Amazon or Azure offer a convenient platform for organizations who are looking for a business continuity solution when shifting their Disaster Recovery operations to the cloud. Leverage an intuitive, user-friendly interface to deploy new cloud DR targets and get up and running in minutes. Organizations can now leverage the public cloud efficiently for disaster recovery operations without sacrificing enterprise-class reliability. NetApp's Cloud Volumes ONTAP (formerly ONTAP Cloud) business continuity solution enables enterprises to collect data from a range of platforms and transfer it seamlessly to their public cloud disaster recovery environment. This service also provides an easy-to-deploy solution that helps replicate data easily to your cloud DR site, and facilitates quick fail over to cloud sites when outages occur.